You may get unbelievably refreshing drinks with tasty fruit flavours in our self-service drink bar. The drinks contain a special blend of three or six vitamins, they are enriched by L-carnitine and they will also convince you with their low calorie content. Let your body have the minerals and vitamins you have lost during your physical activity. 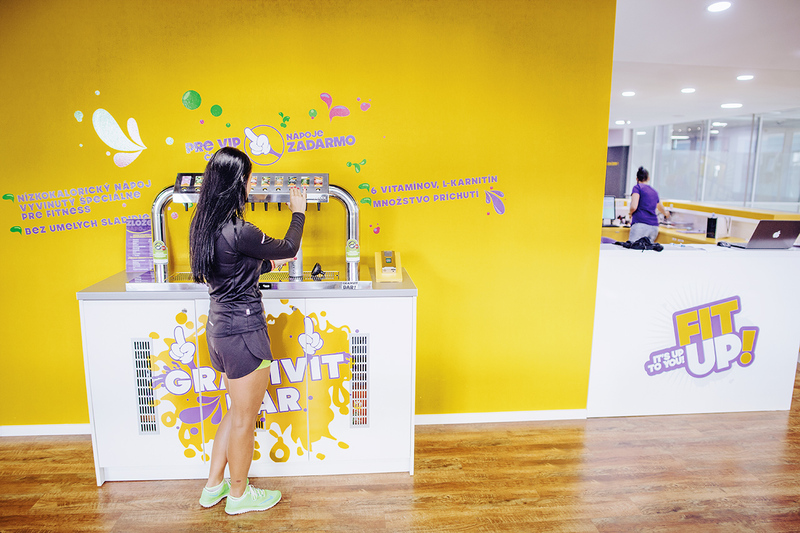 We offer high-quality Grapivit drinks developed by a specialist in draught systems in the area of fitness and wellness. Our Grapivit bar guarantees a stable quality of all drinks at the top level. Grapivit drinks are offered with 15 flavours in top quality, with an added value in the form of vitamins and L-carnitine for more stamina, better performance and endurance. Drinks are made mainly with fruit flavours with an intensive taste. They are based on fruit concentrate. Grapivit drinks do not contain any sugar. VIP members may freely use the Grapivit bar!